I never knew anyone with MS growing up. I took part in Readathon in primary school, but I don’t remember ever having a person with MS come and speak with us about what it was we were trying to raise money for. Perhaps they didn’t have people do this in the ‘70s? In any case, for me it was just something we did – keeping a record of how many books we read for a few weeks and asking friends and relatives to sponsor us because it was a Good Cause. To be honest, I’m not sure I actually had any idea what it was all about. But as a child who loved to read, it was nice to have an excuse to spend more time curled up with interesting stories! As a medical student, I must have been taught something about multiple sclerosis, but I don’t remember much of what I learned. It’s possible they didn’t cover MS in any detail back when I was at university. Disease modifying therapies had not yet been discovered, so there wasn’t a great deal they could tell us about “how to fix this”. MS probably got lumped together with all the other progressive neurological conditions one hopes never to get – with only general strategies available to minimize the impact of symptoms. 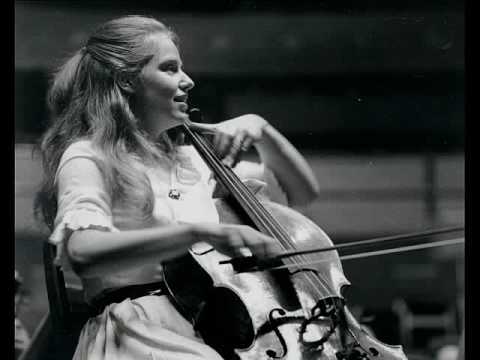 I remember clearly having lectures on Parkinson’s Disease and the wonderful-sounding drugs that could improve that one, but MS remained something I mostly associated with Jaquelin DuPres, the extraordinary English cellist whose career and life it cut tragically short. Is it any wonder that MS did not even enter my thought processes when my vision blurred for about three months during my university years? I had my eyes tested, was confused when the student optometry service claimed there was nothing wrong, and moved to sitting in the front row during lectures. When the issue finally resolved, I put the episode behind me and thought no more about it. When we moved from our years of university-based lectures to studying at hospital-based clinical schools, Medicine became so much more interesting! We saw real patients with real diseases – but I don’t recall ever meeting one who had MS. Neurology was one of the more complicated sub-specialties and we had numerous tutorials where we practised testing the functions of various nerves on each other under the supervision of Very Clever People who had chosen to work in this challenging area. Some of the reflexes you can test in the arms are particularly tricky to elicit, and I became a permanent “demonstration model” when it was discovered they are really easy to get in my left arm. No one, not even the neurologist-tutors, ever raised the possibility that there could have been something abnormal about those brisk reflexes. By the time I had finished my specialist training, some eight years after I graduated from medical school, I had a clear recollection of seeing just one patient in hospital who was diagnosed with MS. She was a woman about my own age who had truly terrible disease. She lived in a nursing home, unable to move anything much apart from some of her facial muscles. She couldn’t speak. She couldn’t swallow safely. When I met her she was really sick with pneumonia. I did my best to look after her – being as careful as I could not to cause her discomfort when I examined her and explaining who I was and what I was doing each time we interacted. She wasn’t able to respond in any way that I could understand, so I don’t know if I gave her the care she wanted or whether she was grateful to recover and leave hospital. What I do know is that her unenviable situation was the only “real world” picture of MS I had before my own diagnosis some six years after we met. I don’t think I’ve ever confided that to anyone before. I felt pretty stupid to have made it through to being a specialist physician with next to no experience of what MS was. And having my one mental picture of a real person living with the disease be this “worst case scenario” was decidedly unhelpful when I was diagnosed! Particularly as those doing the diagnosing all assumed I was well informed. No one offered me any basic MS information. Fortunately, the internet provided me with plenty of places to improve my education on my own! One word at a time (thanks to the pretty severe visual impairment I had at the time I was getting a diagnosis) I read my way through information from various MS Societies around the world, I scoured current medical journals for up to date science, and I picked the brains of colleague/friends who worked in the area. This was before social media and blogging were part of most people’s lives, but I could get on to all sorts of information sources through my workplace and the affiliated university. And my educational background was helpful in working out how reliable different sites were, and what was most relevant to my own situation. These days it’s much easier in many ways. We’ve moved on from the dial-up connections I had to use in my quest for facts, and there are any number of sites where people affected by MS can get together and share their experiences. Reliability can be a real issue, but there is at least a lot out there! One of the difficult things in my mind, though, is finding information that is relevant to us as an individual among all that is offered - given the different ways MS can impact each of us. This was a big part of what pushed me to put up some of my own thoughts and experiences on line. I don’t mean to brag when I share stories of fabulous adventures I’ve been fortunate to experience years after my own diagnosis. And I hope I haven’t seemed a whinger when I’ve written about some of my less fun experiences. What I’m aiming for is simply to put my version of MS out there as part of the “palette” available for people to consider when they are trying to understand this illness. It was some time after my own diagnosis before I met another person with MS whose experiences really resonated with me. If even one person looking at “Uninterrupted” achieves some of that resonance by reading through what we post, then the project will have been worth participating in from my perspective! Thanks Rebecca - and right back at you with a big thanks for all your posts!